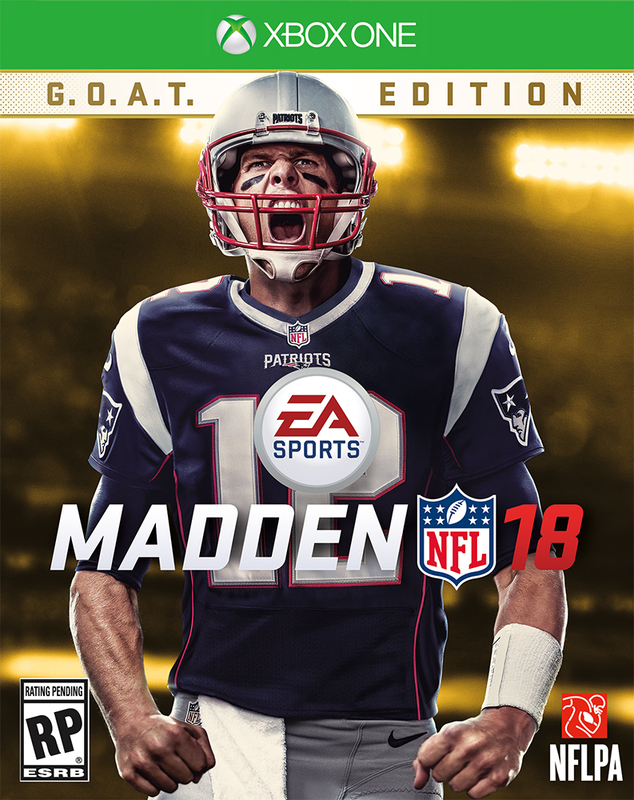 Madden 18 came out this morning, and after playing it for a week now with EA Access, I’m going to give it an 8.5 out of 10, same as last year’s edition, since the improvements outweigh the failings. The graphics have been moved to the Frostbite engine this year, and after FIFA’s successful launch last year, it’s no surprise that this game is absolutely beautiful. Every year we talk about how it “couldn’t possibly look more like real life”, and every year they do just enough to make it look even better. There are still a few glitches and annoyances with the game. For example, I started calling a play and then the booth issued a review. My “Playcall” screen remained overlayed on top of the replay videos and the ref making the call. They also will pop up “Timeout: Injury” without telling (or showing) you who is injured at times, which leads to heading to the injury report for the necessary information. The play has picked up from previous years. The running game, which last year was basically stuffed, is more open, and if you read the defense correctly can lead to 7-9 yard rushes when you have the defense playing deep zones. Meanwhile, the passing game has gotten tougher (read: more realistic), where if you start forcing those passes, they will get picked off every single time. The juke/spin moves finally work again. Hitting it at the right moment will free you up and open the field up for good RAC. One struggle on defense has always been when you take a player who is supposed to be in man/zone coverage and you just don’t know how to mark your player. Now they have added in arrows to help you mid-play to keep your coverage as tight as possible. I am a big fan of “Story mode” in games, and sports has always been the one game that has just handed you a season, and said “have fun”. But last year FIFA unveiled The Journey (which will be continued this year from where you left off in last years’ game) and Madden has thrown its hat into the ring with Longshot. A Texas kid, former star Quarterback, taking his shot at the combine, after stopping to play football at the start of college. Every decision you make can take him to new levels or breaks his career and unlike a “Choose Your Own Adventure” you can’t just go back a step when you choose to post that video on Instagram. You’ll make friends and have foes, play through high school rookie flashbacks, and just joke around with the people around you. But from Act I, which is all that was allowed to play during the Early Access, it didn’t give me a lot to work with, in terms of wanting more…but it gave me enough to want to buy the game and play through the story. Load times are fairly long, from when you hit “Play Game” until it starts showing the opening sequences. Now this may be due to Frostbite loading up the intense opening package, of the players running on the field and fireworks going off…but FIFA showed shorter times unless that’s just an illusion since FIFA lets you practice while the game loads. Meanwhile, those pesky booth reviews are just plain awful. I had a play where every single angle showed both feet landing out of bounds, yet somehow they managed to overturn it and rule him inbounds.